The Android Market certainly doesn't have a lack of group chat-messaging clients, but it appears that Yahoo is ready to throw its hat into the ring away. 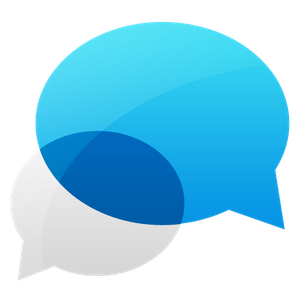 Separate from the Messenger app (which has been available on Android for quite some time), Hub uses text messages over a data connection - meaning that you won't incur any text messaging charges from using it. Unfortunately, your friends who don't have the client installed will, and in fact they may not be able to use it at all. 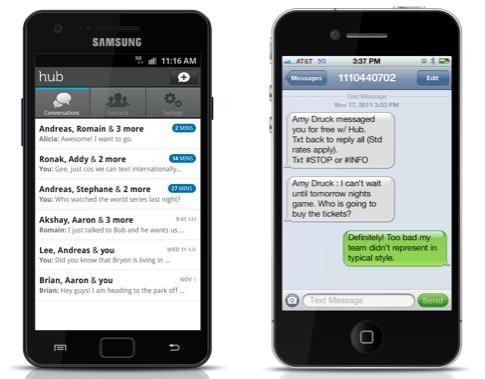 Sending these messages for free is a feature that only US users can take advantage of - but! ... there's a catch. You actually have to have a US SIM card to receive text messages from the service. Yes, you read that correctly - any users on CDMA carriers (read: Sprint and Verizon) will have to have the client installed in order to receive messages. The experience isn't all bad, though; the interface is surprisingly polished, with nary a trace of that Yahoo purple to be found, and nice Ice Cream Sandwich-like horizontal swiping. It's also important to note that the surface is still in beta, so we may see some of those issues resolved soon. 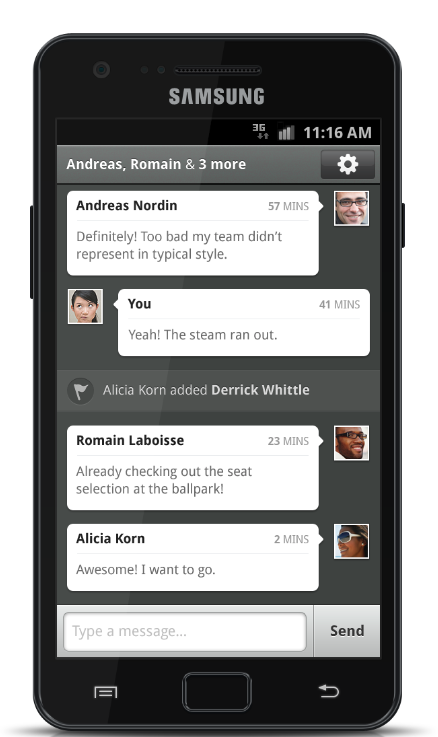 But until then, this is one chat client you are better off passing up.